Oh man! I remember wanting the Pizza Thrower as a child. 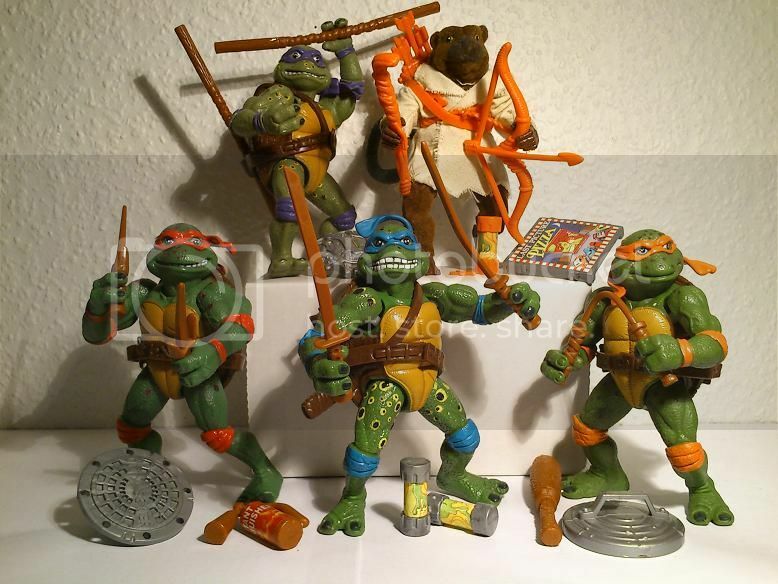 This is an awesome collection man! Last edited by Mzx10484; 08-24-2014 at 03:49 PM. Last edited by Mzx10484; 09-13-2014 at 02:26 PM. 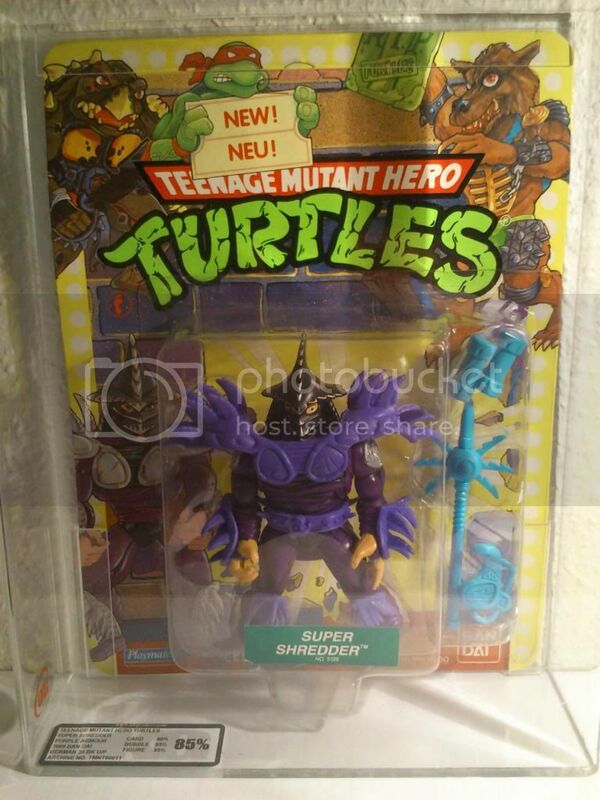 Awesome collection indeed, I'm always amazed when I see a Purple Shredder. Thanks for Sharing! Digging your collection my friend, I really wanna get me a MIB Mutant Module but there rare! There's a little bit more to it than that. Nobody here at The Drome had even heard of the figure before I showed pictures. And yet the only chances I've had to get a carded one left me screwed. So you mean that you introduced that figure here ? And to what extent have you been screwed ? 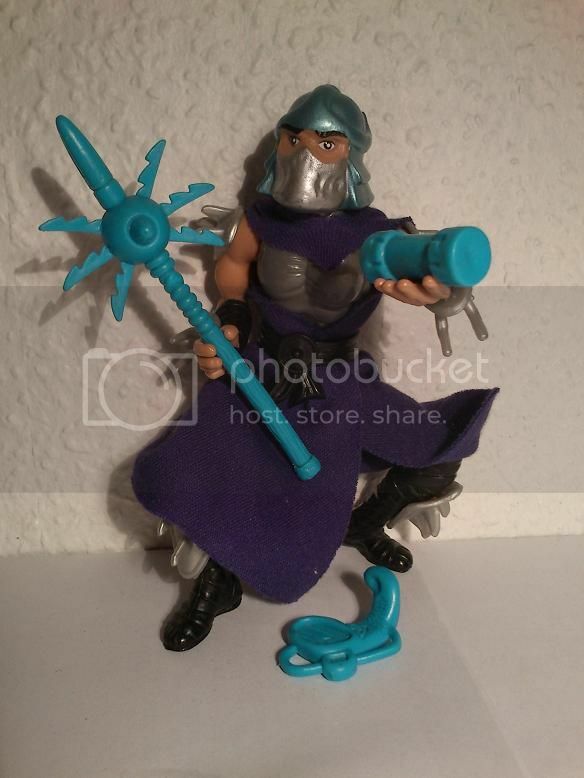 As a child, I had the Purple Shredder - I knew the Silver Armor Shredder only by the advertising on the back of the card - and absolutely wanted to have that silver one !! 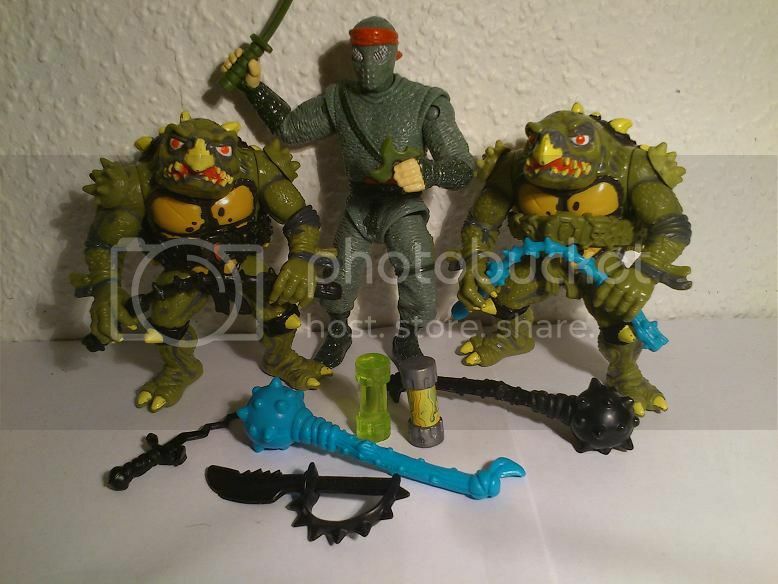 Yes, the MOC Hero Turtles versions with light blue weapons are almost untraceable today. 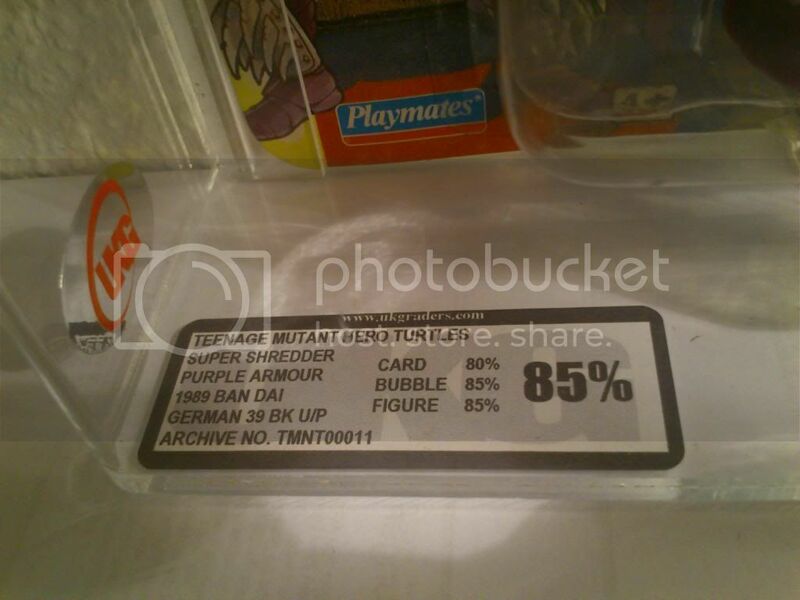 I had huge luck to get the Purple Super Shredder MOC one year ago from a not realizing Ebay-Seller ! Hallo ! My collection is not huge, I would call it focused. 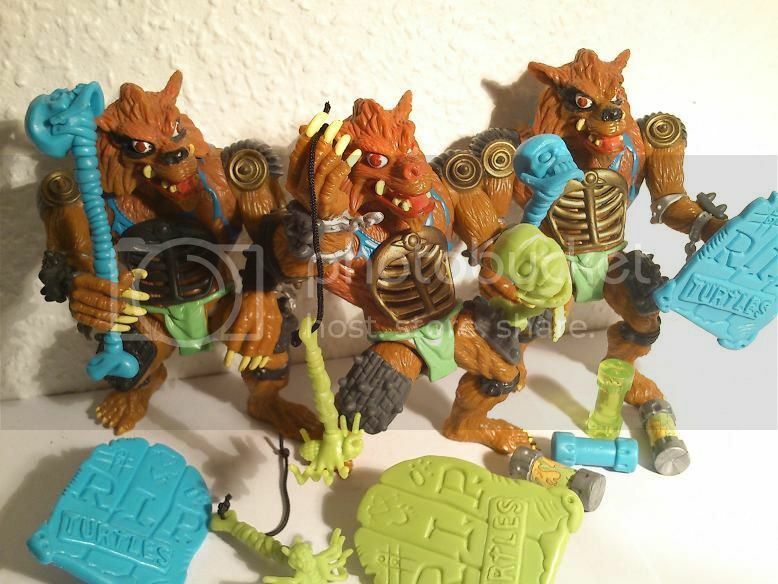 I collect color variants, for example the 3 Rahzars (the European version has not only blue arms, but also a black belly armor) and of course the pink nose version. 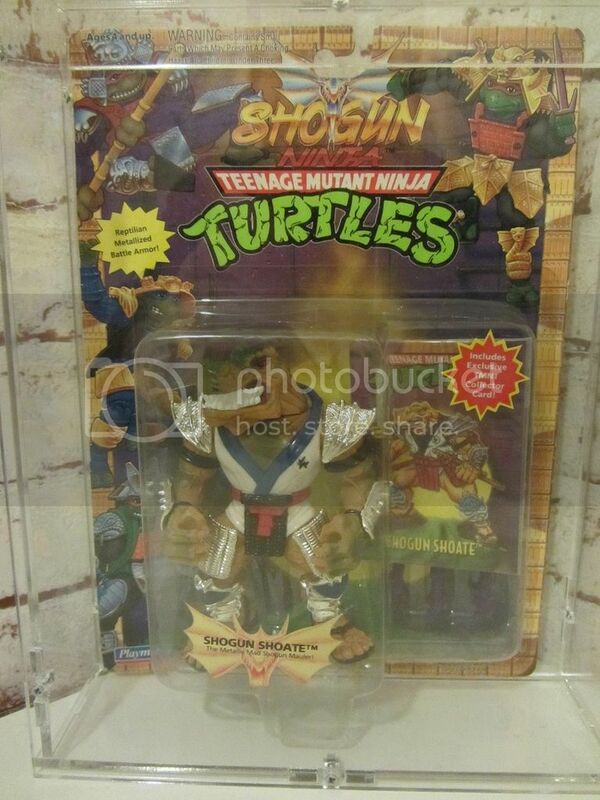 Tokka also appeared in Europe differently, bright belt and armor, and light blue weapons. 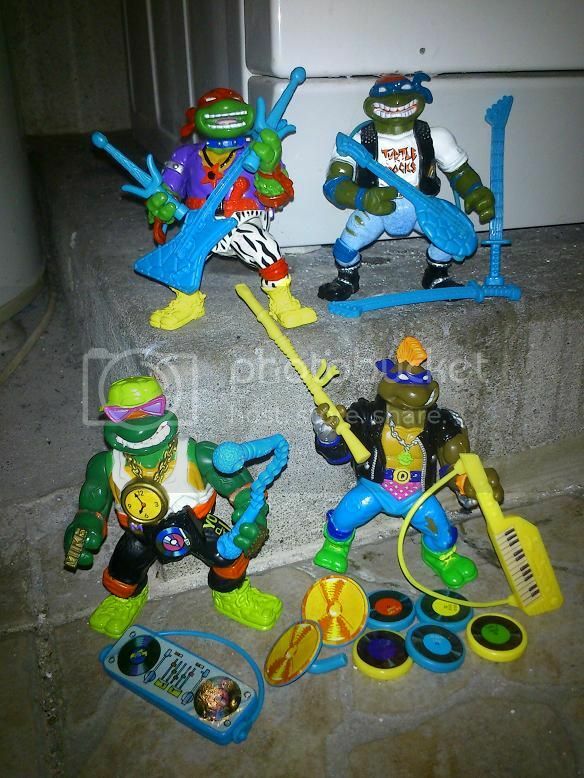 Toon Shredder has the weapons of the German Super Shredder. In my vacation I will post further MOCs. THANKS FOR WATCHING ! Thank you !! Your collection has very desirable MOCs as well !! Last edited by Mzx10484; 02-25-2016 at 05:46 PM.